Cheap embroidery software helps make intricately decorated and designed items available to nearly anyone with an embroidery machine. Today we simply choose a design and program it into the machine, but a decade or so ago people spent hours crafting intricate designs by hand. The first embroidery machines and software were very expensive, however in the past several years software has become more affordable. 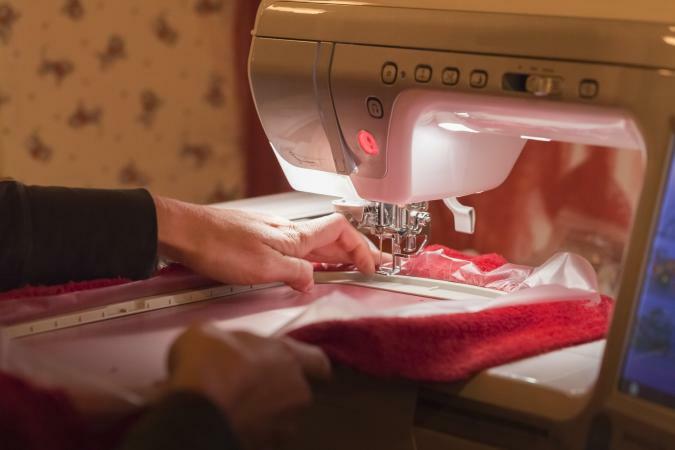 Embroidery software uses features like auto-digitizing, which is a function that allows the user to download designs from the Internet into her machine. When using the software, whatever scanned is digitalized and embroidered. Transfer the downloaded design from your computer onto a special card. The card is put into an embroidery machine and the embroidery software in your machine sews the design with a little help from you. The Internet is a rich source of sewing and crafts materials. Software is no exception. Finding cheap embroidery software that is also high quality can be a challenge. Read the information carefully and look for hidden charges before you buy anything. Be careful, because there are companies that create unlicensed software, stolen content from the manufacturer called pirating. If you buy this software, the manufacturers will not honor the warranty because it is not really their product. For this reason, be especially careful about buying software on eBay. All Embird programs are 32-bit applications and are available in free demo versions. They switch into complete versions after registration. Embird has several software programs to choose from depending on what you want to do. The Embird 2006 resizes, splits, edits, displays, prints and converts embroidery designs and can be expanded with plug-ins. It works in either an editor or a manager mode. Embird Studio is a plug in that allows designs created from photos. Embird Cross Stitch is a plug in for replicating cross-stitch designs. Font Engine converts true type and open fonts into embroidery. Iconizer is a program that displays image files, and helps organize embroidery designs, photos and images. Amazing Designs Smart Sizer Platinum is a downloadable program that you can use to edit or delete stitch points. If you need an image digitized, it is possible to have it done without buying software. Cheap Digitizing will convert any image to stitches for $1.50 per 1,000 stitches. Floss Minder is a software program that helps maintain the details on all your threads, charts, and projects. Print reports on the threads you've run out of, charts, and much more. The trial version is available through a free download. Once you have found the software you want, give yourself plenty of time to practice with it so that you understand how it works. Do a Web search for the name of the product you are using to find what other people are doing with it, as well as what they are saying about it. This will allow you to solve potential problems before they occur. Use embroidery software to increase your creativity in your projects. By employing all of your machine's capabilities, you have more time to devote to what you really love to do.